Automatic Thread Trimmer - The machine is equipped with an automatic thread trimming device that simultaneously cuts the needle and bobbin threads at the sewing end by lightly pressing the push-button. It uses the thread trimming mechanism that is similar to the industrial sewing machine type. Automatic Needle Threader- The push lever automatic needle threader easily threads the needle without eyestrain and allows you to start sewing quickly. Easy Bobbin Replacement - A new bobbin case latch and an enlarged bobbin case area make it easier to remove and replace the bobbin. Knee Lifter Lever - The knee lifter lever allows you to lift / lower the presser foot without using your hands. Adjustment of Presser Foot Pressure - Presser foot pressure can be adjusted according to the fabric being sewn by turning a regulator located on the top of the machine. 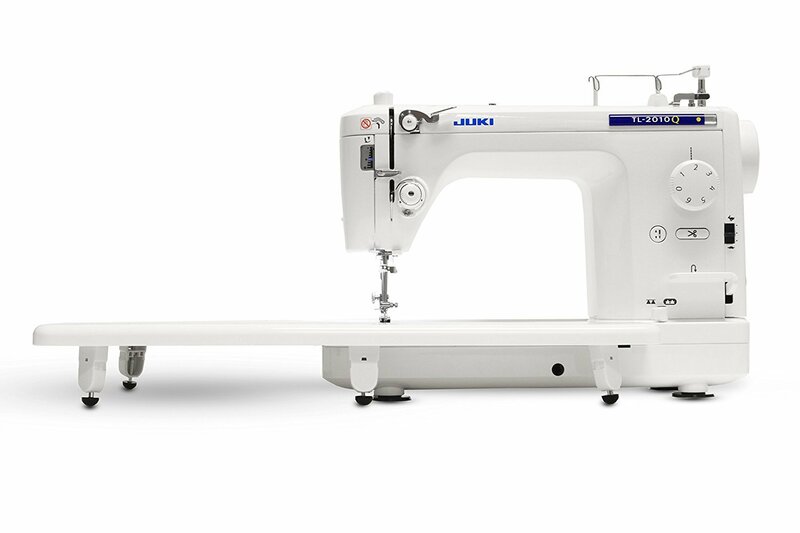 Needle Up/Down Control - The machine will stop the needle in the down position when you stop sewing to allow pivoting action or more accurate free motion work. The needle can be moved up and down with the simple push of a button.